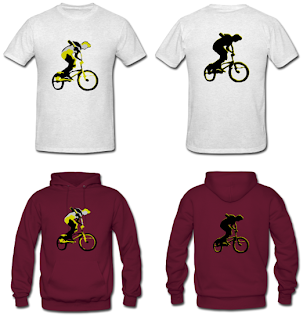 Download the free vectors below and have your BMX shirts printed at your local print shop. Or get this bike T-shirt in the Highball Store. Wear your helmet and design your own bike T-shirt!